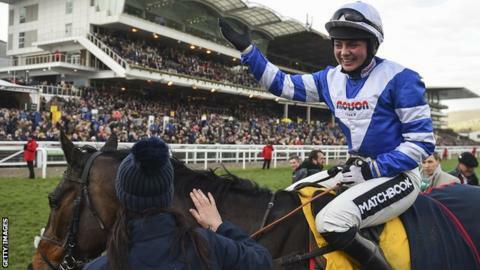 The 23-year-old, who won onboard Frodon in Cheltenham's Ryanair Chase, was taken to hospital for a precautionary X-ray on her shoulder after a fall from Midnight Bliss. Frost is out of hospital and will see a specialist in Cardiff on Wednesday. She had been due to ride at Huntingdon on Tuesday.